KENJI03 (Vocal / Guitar) has Japanese and Taiwanese parents and is fluent in Chinese. SHU (Guitar) is very knowledgeable in music and is the arranger for the band. GORI (Bass) is the leader of the band and handles programing for the group as well. 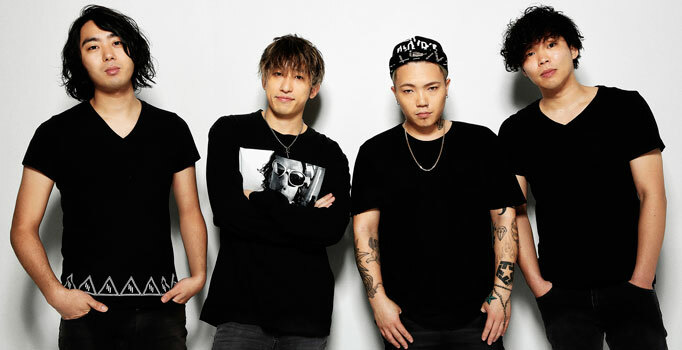 BACK-ON, a 4 member hybrid rock band formed in Japan in 2002. They made their major label debut in 2005, and have released 15 singles, 5 albums and have held live shows around the world. BACK-ON are known for creating anime, and game opening themes as well as ending themes. Some of their Anime Theme performances includes Air Gear (TV OP1), Eyeshield 21 (TV OP4, ED5, ED6), Fairy Tail (TV 2 OP2), Gundam Build Fighters (TV OP1, OP2), Gundam Build Fighters Try (TV 2 OP), Murder Princess (OP), and One Piece (TV OP16). They held 15 live shows in Mexico, the US, Netherlands, Singapore, Malaysia, France and Taiwan in 2015. At “JAPAN EXPO” in Paris, France, they had approximately 4000 people in the audience. The venue had to restrict admissions due to capacity regulation. They are releasing their 5th album “PACK OF THE FUTURE” in March 2016. Now they promote “Normcore Music” and are asking the world “Have you realized the coolness of BACK-ON yet?” through their music. BACK-ON will be performing for the first time in Eastern Canada at Otakuthon. 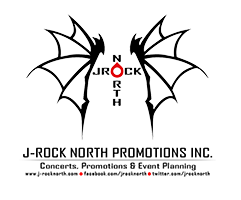 This concert is in association with J-rock North Promotions Inc. and Avex Management Inc.
Born on November 14 in Gunma prefecture, she is long-standing voice actor who completed her Seiyu training course from TOKYO ANNOUNCE SEIYU ACADEMY in 1991 and is currently affiliated with Mausu Promotion (formerly known as Ezaki Production). Known for playing strong female roles, she is most well-known for her role as Motoko Kusanagi from "Koukaku Kidoutai STAND ALONE COMPLEX", "Innocence" and "Koukaku Kidoutai GHOST IN THE SHELL" Claudette from "Queen's Blade: Rebellion" , Lisa Lisa from "Jojo no Kimyou na Bouken", Karura from "Utawarerumono", and Caster from "Fate/stay night". Her extensive repertoire also includes hundreds of anime roles, including classic roles such as Soi from "Fushigi Yugi", Misuzu Suenaga from "Salary man Kintaro", Mairus Yuka from "V Gundam", Reiko from "Chouja Raideen", Maiko Kaji from "Hataraki Man", Valeria from "Angel Links", Mama in "Bubu Chacha", and Misaki Saeko in "WXlll Kidou Keisatsu Patolabor the Movie 3". She is also still very active, having roles in more recent series such as Samari Ittan from "Shidonia no Kishi", Binas from "Ozuma", Marmo from "DokiDoki PreCure", Trish from "Devil May Cry", Professor Kerry in "Eiga Doraemon: Nobita to Kiseki no Shima ~Animal Adventure~", Ryouko Tamiya from "Kiseijuu: Sei no Kakuritsu", Wilmit Zenam from "Gundam G no Reconguiesta", Harumi Kiyama in "A Certain Scientific Railgun", Viletta Badim in the "Super Robot Wars OG" series, Bayonetta from "BAYONETTA BLOODYFATE", Haru Fujiwara from "The Rolling Girls", Ochiai Yuriko from "Shigatsu wa Kimi no Uso", Tahamine from "Arslan Senki", Amamiya Tsubaki from "God Eater" and Amida Arca from "Kidou Senshi Gundam: Tekketsu no Orphans". In addition to being a voice actor, she is also very active in the Japanese dubbing of Hollywood blockbuster movies and dramas. With an extensive list of hundreds of roles, she has lent her voice to dozens of Hollywood stars including Nicole Kidman (Malice, Batman Forever , The Portrait of a Lady, The Peacemaker, The Human Stain , Fur: An Imaginary Portrait of Diane Arbus, Rabbit Hole, Trespass), Kate Beckinsale (Pearl Harbor, Underworld , Underworld: Evolution, Underworld: Awakening, Vacancy , Van Helsing) and Jennifer Lopez (Shall We Dance?, Maid in Manhattan , Gigli, An Unfinished Life, El Cantante). A must-see artist at Otakuthon this summer, this will be her first appearance in Canada. She is looking forward to seeing Canadian fans in Montreal this August! Special thanks to Navito World! Award-winning manga artist and a veteran of the industry, Takeshi Obata debuted in 1989 with the series "Cyborg Jiichan G" (Cyborg Grandpa G), which was published in the Weekly Shonen Jump. His illustrations in the series "Hikaru no Go" also sparked a Go game boom amongst young boys and girls. Written by Yumi Hotta, the series was published from 1998 to 2003 in Weekly Shonen Jump. Some of his other big hits include "Death Note", written by Tsugumi Ohba and published from 2003 to 2006 in Weekly Shonen Jump, as well as "Bakuman", also written by Tsugumi Ohba and published from 2008 to 2012 in Weekly Shonen Jump. Both of these works were adapted into anime, live action movies, and had a big impact on society. Currently, he is working with Tsugumi Ohba on their third collaboration series, "Platinum End", which is being published by Monthly Magazine Jump Square. Arina Tanemura is a shoujo manga artist who made her debut with "Nibanme no koi no katachi" (The Style of the Second Love) in 1996. This makes 2016 the 20th anniversary since her debut. She is very well-known for her major hit works like "Kamikaze Kaitou Jeanne" (Phantom Thief Jeanne) serialised from 1998 to 2000, and "Full Moon wo Sagashite" serialised from 2002-2004. She is also known for her other major works which include "Shinshi Doumei Kurosu" (The Gentlemen's Alliance Cross) from 2004 to 2008, and "Sakura Hime Kaden" (Sakura Hime: The Legend of Princess Sakura) from 2008 to 2012. 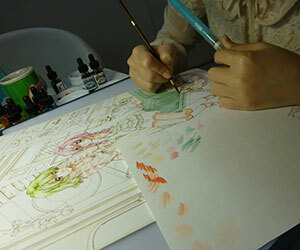 With her beautiful colour illustrations and fantastic stories, she became a major cover artist for the monthly shoujo manga magazine "Ribon". In 2013, she started to publish "Neko to Watashi no Kinyoubi" (The Cat and My Friday) in the biweekly shoujo manga magazine "Margaret", which brought her a lot of attention from the manga community. Masanori Miyake has been involved in the planning and production of over 20 TV animation series at ASATSU-DK INC. since 2002. He joined A-1 Pictures in May 2015. 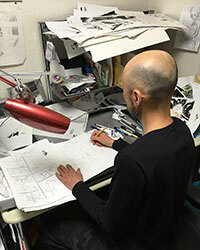 His most notable works are "Eyeshield 21", "Natsume's Book of Friends" series, and the "Yu-Gi-Oh!" series, though he has also worked on a wide range of series such as "Full Moon o Sagashite", "Kuroko's Basketball", "Grimgar of Fantasy and Ash", "Akame ga KILL! ", and more recently "Ace Attorney". 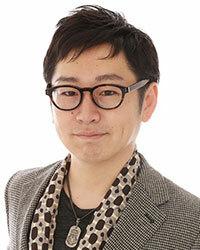 He also worked with 4 KIDS ENTERTAINMENT, (4K Media Inc.) on the global strategy for "Yu-Gi-Oh! ZEXAL" and "Yu-Gi-Oh! ARC-V". Takamitsu Inoue started at Aniplex in 2005 where he worked as producer for "Blue Exorcist", "Robotics;Notes", "Seven Deadly Sins", "Terror in Resonance", and "WORKING!!!" as a main productive producer. He has been working in the Planning & Development department, coordinating coming up with plans and titles for A-1 Pictures. 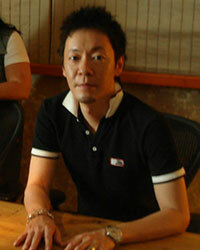 Yusuke Tomizawa is the producer of the video game series “GOD EATER”. 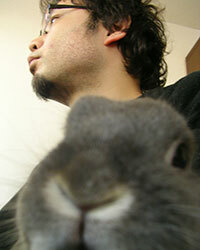 He was also involved in the production (as co-producer) of the game for “Puella Magi Madoka Magica”. Having started his career as a planner in the production of small figurines and capsule toys, he became a video game producer following the merge between BANDAI and NAMCO. Working as a producer of the monster slaying game series GOD EATER since its very first entry, he has been also tasked with overseeing the world setting and scenario of the works out of video game such as the recent GOD EATER anime adaption. Yusuke Tomizawa will be holding a Q&A session, so please come and ask him any questions you have about the planning and development of video games in Japan! Karen Strassman is an actress, voice-over artist and dialect coach, known the world over for hundreds of characters she has created in many forms. She delights in crafting characters that touch the brilliant human spirit and entertain the child within all of us. Whether on-camera or behind a mic, Karen is extremely versatile. She has extensive credits in both anime and video games, including shows such as Bleach (Soifon, Momo Hinamori), Code Geass (Kallen Stadtfeld), Lucky Star (Miyuki Takara), and K-ON! (Sawako Yamanaka). Her video game credits include Dead or Alive (Helena Douglas), Sonic (Rouge the Bat), and Persona (Aigis, Nanako Dojima). She has also played roles as varied as the brilliant and empathic scientist Devra Bogdanovich in Ingress, a dying immigrant from Northern Ireland, doctors and lawyers, to the quirky bookish OCD accountant recurring on Weeds, to a killer's trailer trash mother on Criminal Minds. 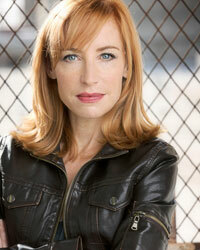 Her full extensive list of credits for anime and videogames can be found on her Wikipedia page (https://en.wikipedia.org/wiki/Karen_Strassman). Karen has dual American/French nationality. She spent almost half her life in France and is fluent in French (although she's also worked in German, Spanish, Danish, Italian and Yucatec!). In France, Karen studied acting at the prestigious Conservatoire National Superieur d'Art Dramatique in Paris, and also began her dialect coaching career there, teaching classes at the well-known STUDIO VO/VF and coaching famous French actors in their homes and on-set. She soon got into TV, film & voiceover, and continued to dive into as much theatre as she could, both in English and in French. On-camera in France, Karen has shot films in all kinds of locations throughout Europe, from many artsy little indie projects, to big studio productions, working with icons like Gerard Depardieu, Jan Kounen, Polanski and Merchant & Ivory. She also appeared in many of the popular French TV series at that time. 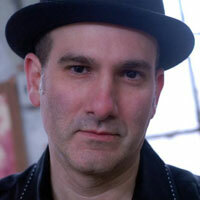 As a singer/songwriter, Eric Stuart has toured the United States with such rock legends as Peter Frampton, Ringo Starr, and Lynyrd Skynyrd. He's also opened for such acts as Jethro Tull, Julian Cope, Hall & Oates, Chicago, The English Beat, Dave Mason, Steve Howe, John Entwistle, Dave Davies, The Alarm. All this while continuing a successful voice acting/directing career spanning over 25 years, starring in hit shows including Pokémon (original Brock, James, Butch, Squirtle, Blastoise, Pokédex), Yu-Gi-Oh! (Seto Kaiba), Yu-Gi-Oh! GX (Bastion), Viva Pinata (Pecky Pudgeon, Les), Ultimate Muscle (DikDik Van Dik, Mac Metaphor, King Muscle, Adversarious, Dial Bolic, Geronimo, Clawdaddy, Sgt. Muscle, Hanzo, The Protector, Jagg-Ed), Dinosaur King (Dr. Z), Kirby (Metaknight, Gus, Sword Knight, Blade Knight), Slayers (Gourry), TMNT (Gen, Master Yoshi, Harry/Quarry, Leader Of The Purple Dragons), GoGoRiki, G.I. Joe Sigma 6 (Hi-Tech), One Piece (Announcer), F-Zero (Black Shadow, Octoman), Magical DoReMi (Principal Shoople), Fighting Foodons (Burnt Meatballs, Cole Slaughter, Gazmacho), Shaman King (Marco, Flying Zen Brother #1) Descendants Of Darkness (Watari), Labyrinth Of Flames (Galan), Valkyrie Profile (Grey, Lucian), Poltergeist Report (Lord Koenma), Yu Yu Hakusho: Eizu Hakusho 2 (Lord Koenma), Here Is Greenwood (Number One, Furusawa, Lupin, Tochizawa), Tama And Friends (Rockney), Chaotic, and Sonic X. Eric also voices many national radio and TV commercials and audiobook narrations. 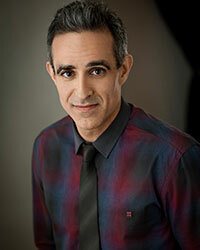 Sam was born and raised in Vancouver and has been working in the film and television industry as an actor and voice performer for over 25 years. One of his first animated series was performing the voice of AFC Blinky in Bucky O' Hare and the Toad Wars. He also provided the voice for the much beloved character Double D on the popular Cartoon Network series Ed, Edd, n' Eddy. Sam was very honored and excited to bring to life the iconic characters of Baby Bugs, Daffy, and Tweety for the Baby Looney Tunes series. In anime circles he is known for Card Captors, Hamtaro, Hikaru No Go, Infinite Ryvius, Saber J Marionette and Gundam Seed. Krypto the Super Dog, Fantastic Four, Planet Hulk, Storm Hawks, Martin Mystery, She Zow, Slugterra and Endangered Species count among some of his favorites as well. You can currently hear him on Littlest Pet Shop, Pac Man and the Ghostly Adventures and the new series Kong streaming on Netflix. When Sam isn't in the sound studio he produces independent film. Mr. Popo and Tien Shinhan in "Dragonball Z", Agent Shu in "Battle of Gods" and "Resurrection F", Gluttony in "Fullmetal Alchemist", Holy Roman Empire in "Hetalia", Face McShooty and Mal in "Borderlands 2", Tecchi in "Sword Art Online 2", Jack the Ripper in "Soul Eater", Miyamoto and M1 in "Yu Yu Hakusho", Taruru in "Sgt. Frog", Boo and Whitey in "Shin Chan", Hanai in "School Rumble", Ukyo in "Ouran High School Host Club", Chamo in "Negima", Babbit in "Kodocha", Siegfried in "Kenichi", and Hanbei in "Sengoku Basara" represent some of Chris's favorite and best known roles. You may have also heard him in: The Seven Deadly Sins, Attack on Titan, Gunslinger Girl, Basilisk, Tsubasa Reservoir Chronicles, Black Cat, Darker Than Black, Bamboo Blade, Kaze no Stigma, Aquarion, One Piece, Big Windup!, D. Gray-Man, Beck: Mongolian Chop Squad, RIN, Speed Grapher, Oh! Edo Rocket, Summer Wars, Initial D, Deadman Wonderland, Fairy Tail, Case Closed, Space Dandy, Aldnoah Zero, and Michiko & Hatchin. 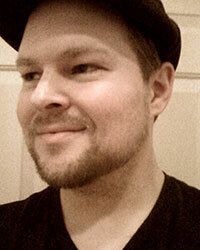 As an ADR Director, Chris has had the pleasure of casting/directing/asst. directing such titles as: The Seven Deadly Sins, Dragonball Z Uncut, Dragonball, Dragonball GT, Yu Yu Hakusho, Negima, Kodocha, Galaxy Railways, Baki the Grappler, School Rumble, Hell Girl, Kaze no Stigma, Bamboo Blade, Birdy the Mighty: Decode, Initial D, Tsubasa Tokyo Revelations, Yuki Yuna is a Hero, and Mobile Suit Gundam: Iron-Blooded Orphans. As a writer, he has adapted and/or assisted on scripts for Case Closed, Negima, Witchblade, Ouran High School Host Club, Bamboo Blade, AM Driver, Magi: The Labyrinth of Magic, Blood Lad, Initial D, Yuki Yuna is a Hero, and Magi: The Kingdom of Magic. He has also had the opportunity to be a part of many popular video games. For additional information, visit "Chris Cason's Anime Chuckle Hut" on Facebook and @Casonworld on Twitter. My name is Virginia, I'm 30 years old and I teach English to very young children at a state school in Madrid, Spain. I discovered cosplay in 2006 when I went with a friend to a small event in my city, Madrid. There I saw how people were dressed as their favourite characters and how much fun they were having. I had never seen anything like that before, and I said: I want to try too! So with the help of my mother we made my first cosplay by hand, Temari from Naruto, as Naruto was my favourite show at the time and she is a strong ninja and I wanted to bring her to life. I went to my first event with my brother, for whom we made an Anbu cosplay, and I had so much fun back then that I wanted to try again! The following year, in 2008, I did Rinoa from Final Fantasy VIII and that was my first time on a contest stage. Since then I haven't stopped doing cosplay and I try to improve and learn new things with each project. My main goal when I cosplay is to have fun bringing my favourite characters to life. During these years I have won many prizes in my city events with my friends cosplaying in a group, we've spent full days cosplaying together and rehearsing for performances, always trying to be as faithful as possible to the series or video games. We were learning and growing in order to participate in large Spanish preliminary competitions such as the WCS, ECG or YCC. Where in recent years I have been ranked in second place in the Spanish preliminary YCC 2014 with my Alice in Wonderland costume. And more recently, with my companion Zihark, we were classified as representatives of Spain for the WCS 2015 with our cosplays of Captain Harlock and Kei Yuki. In 2015 we went to Japan to represent Spain in Nagoya for the WCS finals, where we cosplayed Jessie and James from Pokémon's Team Rocket, and where we had the honour of receiving Best Wig award. We have also been invited to various events in our country as cosplay judges. During all these years, cosplay has made me grow personally and discover skills I did not even know I had. One of the best things about cosplay is that I've been able to meet some of my best friends and I have been able to travel to different cities and meet many people from countries that I never, in my wildest dreams, thought I could do. I've also seen fulfilled one of my biggest dreams since I was a child: to travel to Japan. *. * Cosplay has given me a world full of possibilities and many joys and unforgettable memories. I feel very honoured to go to meet you all and can't wait to see you there! Cirque du Soleil. Nightclubs. Celebrities. Red Carpets. Electric Daisy Carnival. Film. Commercials. Music Videos. Red Carpets. 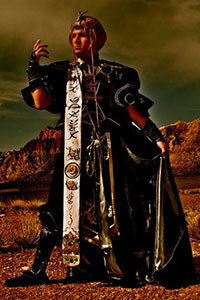 Jez is a veteran cosplayer and designer with many Best in Shows for his costume work. He has traveled as far as Japan as a cosplay guest and believes that the world of costuming is an endlessly fascinating pursuit!